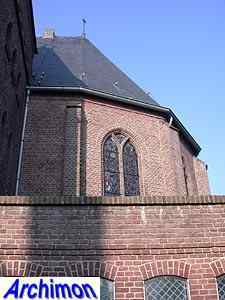 Until 1477 the village of Oelbroeck was part of the Boxmeer parish and only had a chapel. 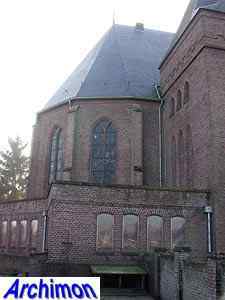 That year the chapel became a parish church, which also served the villages of Oploo and Ledeacker, both of which had their own chapels. 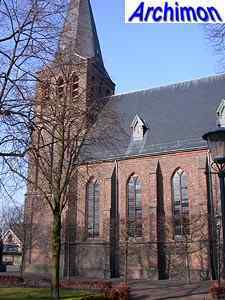 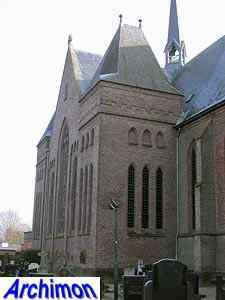 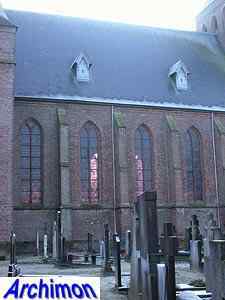 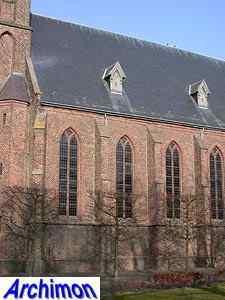 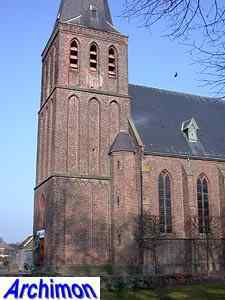 The chapel of Oelbroeck was soon rebuilt into a one-aisled building in Gothic style, while the name Oelbroeck was replaced by Sint Anthonis in the following decades. 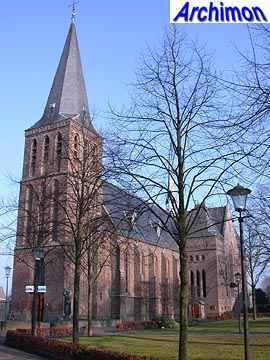 As a part of the autonomous and catholic Boxmeer, religious freedom in Sint Anthonis remained after the Reformation and the church was always catholic. 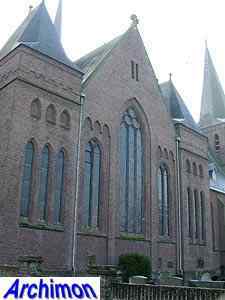 Old drawings of the church show a one-aisled building in Gothic style, with a nave of four traves and a lower and narrower choir. 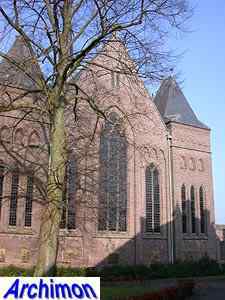 In the 19th century the old choir was demolished and replaced by a transept with polygonal arms and a new choir in neo-Gothic style. 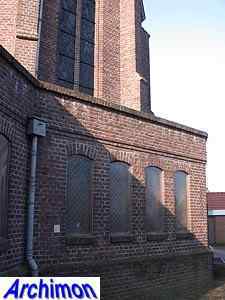 Despite this, by the 1920's the church had become too small. 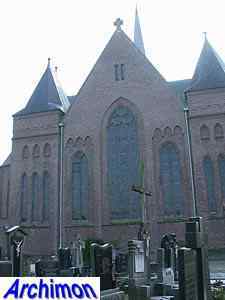 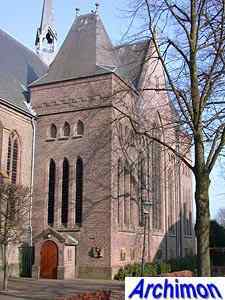 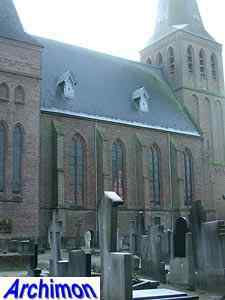 In 1929 H.C. van de Leur, who had previously enlarged the church of nearby Oploo, was commissioned to extend the church. 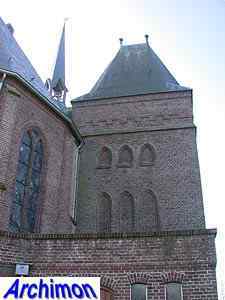 The neo-Gothic transept and choir were replaced by new ones, which are much larger and rather distinctive, with towers flanking the transept-arms. 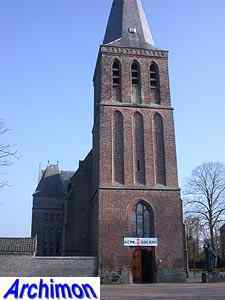 Like in his previous assignment in Oploo, Van de Leur did not use the Expressionistic style of his former employer Dom Bellot but chose a neo-Gothic style instead.